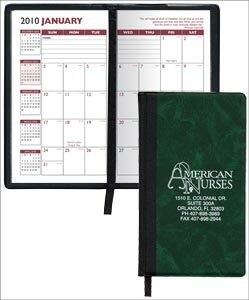 Custom Hard Cover Pocket Monthly Planner w/ Ribbon Personalized in Bulk. Promotional, Inexpensive. Burgundy, Blue or Green. Budget Prices in the USA and Canada. 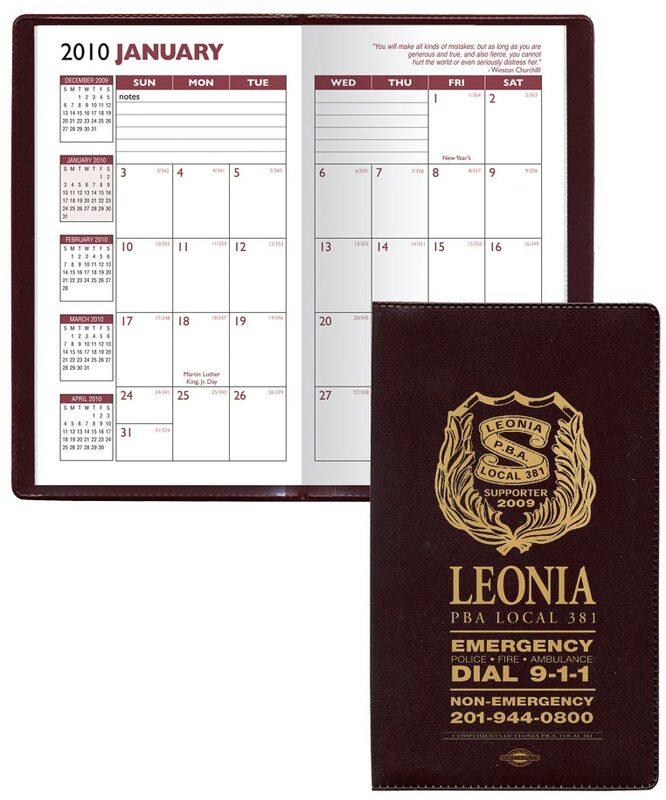 Inexpensive personalized Monthly Planner on sale. We also supply blank (not imprinted) Monthly Planner at EQP (End Quantity Price). Lowest cost in USA and Canada wholesale for promotional Monthly Planner. American clients pay no taxes. Setup Charge: $40.00 per order. OPTION: Brass Corners (They look like Gold): add $0.35 per planner. 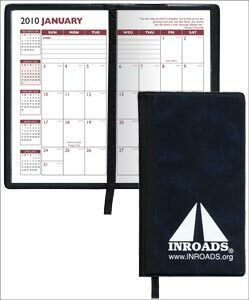 PRODUCTION TIME: 5-15 days after art approval; Blank (not personalized) Monthly Planners ship next day. Maximum Imprint Area: Standard imprints are up to 2-1/4" x 5"